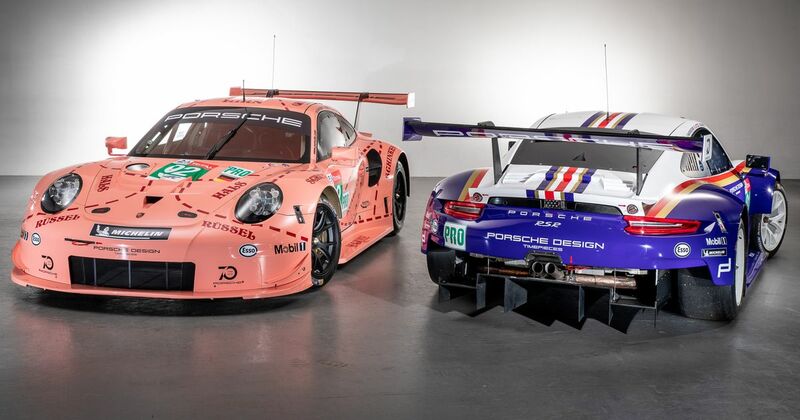 In commemoration of its successful history in endurance racing and particularly at the 24 Hours of Le Mans, Porsche are running two iconic liveries on the GTE pro class Porsche 911 RSR factory entries. The #91 car will be copiloted by Richard Lietz, Gianmaria Bruni and Fred Makowiecki and feature a throwback Rothmans livery. When the Porsche ran these colours originally, it won its class in Le Mans on four occasions, twice with both the Porsche 956C and Porsche 962C. 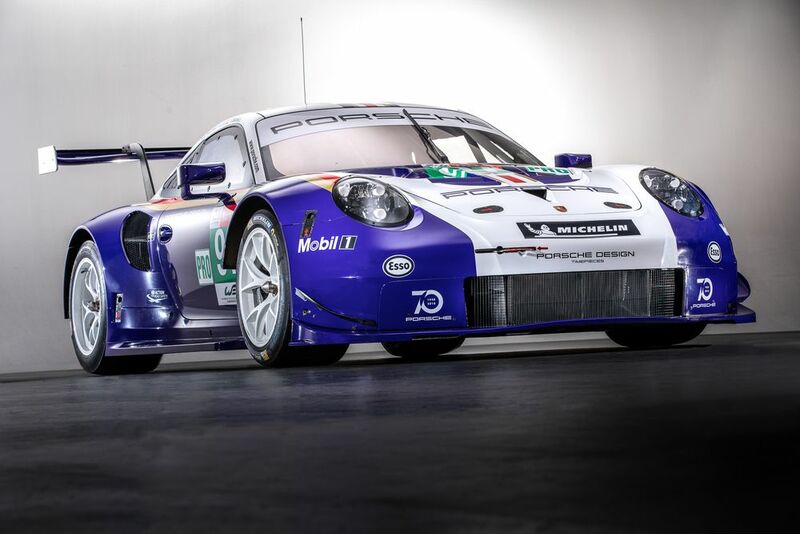 The #92 entry will be driven by Kevin Estre, Michael Christensen and Laurens Vanthoor. This 911 RSR adopts the 1971 ‘pink pig’ livery that was used to try and hoggishly mask new aerodynamic features at the time. “By presenting these special designs, Porsche commemorates its eventful history at the prestigious marathon in the Sarthe Department on the occasion of its anniversary year.